PAS is doing a 360 degree turn, the party is being deserted, as seen in the poorly attended 355 rally where Hadi boasted he'd get 200,000 attendees. Almost immediately after the rally its Vice President Iskandar Abdul Samad came out saying it has no problems with PKR, "no one said anything about cutting ties with PKR," said Iskandar, who is also Selangor executive council member. The executive council member and PAS VP is apparently ignorant of the stand of Hadi A wang, or has no regard for what the PAS President says. Although this PAS VP has been very vocal about his doubts of UMNO integrity he is still a PAS man and refuses to budge, whilst his boss Hadi A wang has openly declared that “there can be absolutely no cooperation between PAS and either Amanah or DAP”, and at the same time is very supportive of Najib with whom he has a truce of some sorts. "Demi Allah" speech, and it was Musa who was in charge during the time of the Memali attack by the Police and not Mahathir. 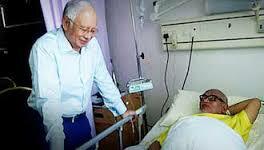 Hadi Awang surely must have had other more compelling motives to align with Najib. Abdul Samad must take a clear stand, and so too must the opposition both jointly and individually as parties. If he is sincere Abdul Samad has to challenge Hadi and make his stand clear that regardless he still supports not only PKR but the new coalition as well and move out of PAS, if necessary. It is now becoming clear that PAS is rethinking its commitments to the grouping as it is now beginning to feel that the ground it is now standing on is not as solid as it thought it would be. Many PAS tickets were won on Chinese votes, and many because of PKR support for PAS too, PKR supporters and opposition supporters from DAP Indians, Chinese and Malays gave PAS that backing and Satuday's 360 rally shows that the PAS Malay base is shrinking and that is the only base they have, with the exception of one or two Indians. In the past PAS never won as many seats on its own, prior to becoming part of the Pakatan Rakyat, never ever in its history and that is now sinking in, PAS is getting worried as Amanah gains strength. And Hadi knows it will never happen again and PAS is now really worried. It is rather obvious now that PAS does not have the backing of all these components, the support is swinging on to Amanah, and PAS has realized its folly, so if PAS decides to take the fight 3 way all the better, because the anti UMNO Malays who now make up a good number, and the UMNO members who have now moved their allegiance to the opposition since 1MDB will move their votes to Amanah, and this has become very obvious. Even though the turnout for the 355 rally last Saturday included children it was very poorly attended indicating that PAS has lost its support. Hadi's dream of 200,000 supporters did not even number 20,000, and even if 2000 understood why they were really there for that may have been a consolation. 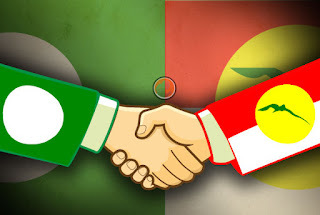 Now as desperation creeps into PAS for having made the wrong moves because of reasons that have become too obvious, they have to sing a different tune, and they are trying to mend the fence, and PKR must ensure that PAS can't just can't be readmitted. They the PAS made that decision to move out and out they must go, it was an empty threat to move Dap out and weaken the opposition, their actions reveal they are traitors of Pakatan Rakyat, and can't be trusted, PAS will walk with Najib no matter where they stand after the elections that is the "done deal." PAS has yet to file an action against Sarawak Report for its allegations that they were handsomely paid off by Najib, they threatened to do so and to date it has not been done it, what are they waiting for? They have made claims that they have filed the case, when in fact nothing has been done except for the fact that a law firm wrote to Sarawak report, which SR just ignored, and the time period given has way passed its time and nothing has been done todate. Have they anything to be afraid of? Does Sarawak report have some damaging evidence with which they can expose PAS? Now to create more doubt about their integrity the PAS Spiritual leader is alleged to own a new Porche on his meager salary and this is creating a lot of talk even among staunch Kelantan PAS supporters. Why, even Nik Aziz the former spiritual leader and MB of Kelantan only used an old Mercedes Benz he inherited from the previous Menteri Besar. Nik Aziz was the previous spiritual advisor, the PAS ordinary membership and grass root supporters are now questioning the integrity of the party's leadership and are having doubts about Sarawak Report's claims, just like many ordinary UMNO members are having doubts about the integrity of Najib and other leaders over the 1MDB saga. Moreover the floods in Kelantan showed exactly how allocations meant for the poor and suffering are spent, and the accountability of the same, something those victims will never forget. 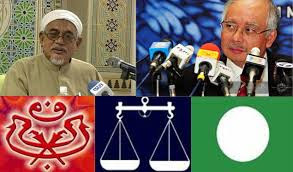 According to UMNO members dissatisfied with present regime, and who are working against the party from within, a pact has been reached between Hadi and Najib on cooperation now an after the General elections. Hadi has ben directed by Najib to use his resources to confuse the electorate and that is why different people in PAS today speak different languages, it is being created as a strategy by PAS and UMNO to confuse the opposition electorate. The opposition has to be very careful. I had a meeting with my friends in Masjid Tanah Melaka, at the house of an old friend, his sons are today in UMNO and enjoy a strong following of youth in north Johor and they are very well connected to Johor UMNO groups who are working tirelessly to get rid of the present UMNO crop, they always say "it is time to purge UMNO, as it cannot function as it is today, all the corrupt have to be wiped out or a new party has to come to replace them," and now they say, "it may be time to really wipe out UMNO as it is corrupt to the core." These young Turks in UMNO as I refer to them have told me that to unseat both Najib and Ahmad Zahid is difficult but not impossible, and that is what they are aiming to do, they already are doing groundwork in Bagan Dato Zahid's constituency, "the PAS members there know him to be a 'rogue' and an 'opportunist' " said the guy who calls himself Toni, a full blooded Parit Besar Malay. They are currently focusing on the PAS members there many of whom are disappointed with the party for aligning with UMNO, they have a total dislike for the DPM. The young Turks are adopting a strategy to weaken Najib's and Zahid's home base to get them to concentrate there, so that, "there will be less time to lie to the electorate elsewhere", as one of them put it. The opposition on the other hand has its game plan being hatched, there will be revelations about Hadi and three other PAS leaders that will discredit them and expose their true colours. 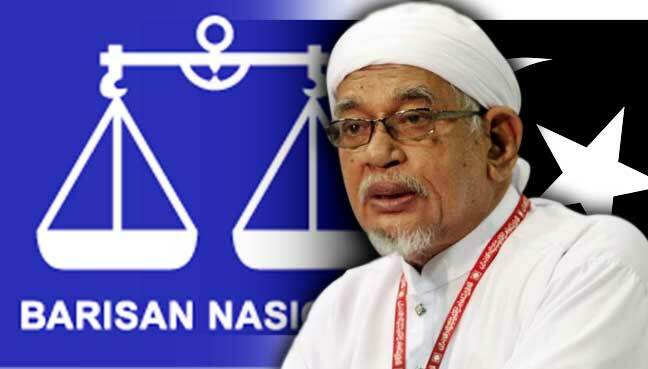 "Hadi is not as clean as he portrays to be and everyone knows that he is not a worthy successor of Nik Aziz, he has even corrupted Nik Aziz son and a growing number of people in Kelantan are now not prepared to accept that anymore", I was told by a current PAS member who says he has chosen to remain in PAS to know what is going on behind the scenes. 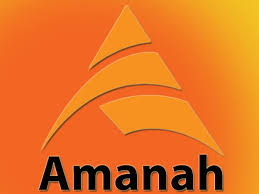 There is certainly a move to get UMNO out, there are talks by these young Turks with the relatively young MPs from Amanah, and PKR to jointly canvass new members from UMNO and PAS. For the time being Parti Pribumi Bersatu has deliberately been left out of this campaign they say, "we still have to wait and see although we will lend our total support to any PPB candidate in the coming general elections". The young Turks want to sound a warning to the opposition, they feel they should immediately distance themselves from PAS or risk failure at the next GE. "PAS MUST BE TOLD IN NO UNCERTAIN TERMS 'OUT YOU GO WE HAVE NO PLACE FOR YOU!!!' AND IT MUST BE SAID NOW!!" said one of these young Turks who refused to be identified, he wore a skull cap, smokes Salem and stands about 183 cm tall real imposing figure who speaks fluent English, Malay, Jawi and Tamil, but assures me he has no Indian blood but is part Arab. "The people must be told now and before it is too late that PAS is UMNO and UMNO is PAS, and there is nothing different between them now, or face the risk of confusing the electorate by not doing so," said the American trained psychologist in their midst, he is from Johor.